It might not be Namur in Belgium, but there are not many tracks around the World with the appeal of Glen Helen. With his massive hills and dramatic rough layout. 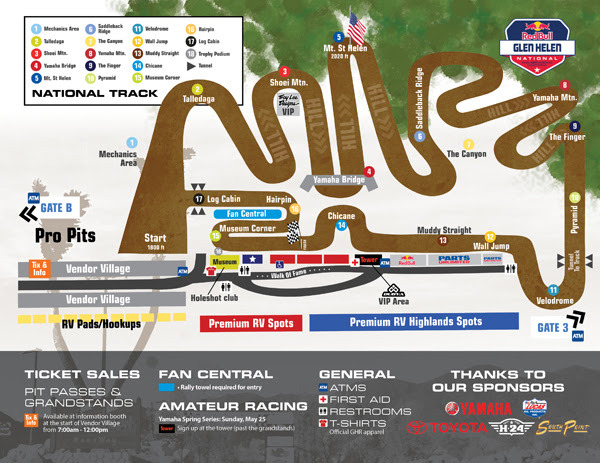 As the countdown to the Red Bull Glen Helen National, presented by Yamaha, and the opening round of the 2014 Lucas Oil Pro Motocross Championship, sanctioned by AMA Pro Racing, continues, the track design at the legendary Glen Helen Raceway is now complete. Longtime Glen Helen partner, and Motocross Action Magazine Editor, Jody Weisel once again lent his creative mind to the design and layout of the national track. 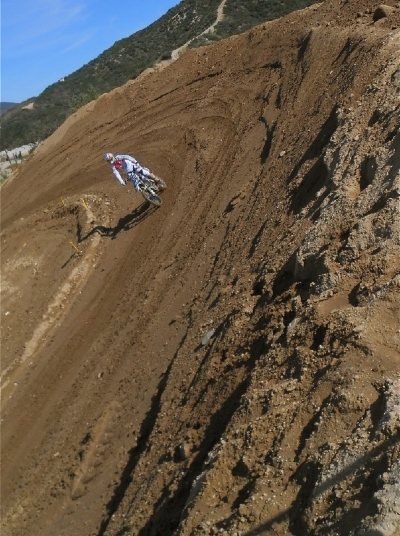 With an immense facility that features a short course off-road track, autocross course, miles of off-road trails, three supercross tracks, and perhaps the largest motocross track in the country, Glen Helen has an affinity for challenging the world’s best riders with a one-of-a-kind layout. During the track’s 16-year duration as a round of the Lucas Oil Pro Motocross Championship, it has cemented itself as arguably the most unique, diverse, and challenging motocross track on the planet. For the championship’s anticipated return to Glen Helen for the first time since the 2009 season, Weisel has ensured that the track’s most notorious obstacles remain while also providing several new elements to push the stars of the sport to their limits. Longtime track builder Karl Scanlon was tapped to execute Weisel’s design and has been hard at work with his team for many weeks, completing the track today with a little less than two weeks until the Red Bull Glen Helen National. In years past Glen Helen was known for being the longest track in the Lucas Oil Pro Motocross Championship, and while the layout has been scaled back to keep lap times under two-and-a-half minutes, it will still provide a truly grueling test of a rider’s physical and mental toughness to kick of the 2014 season. Glen Helen Race­way started its fame back in 1985, hosting sev­eral sand drag events, off-road races, and motocross competitions before hosting its first major event in 1992 with the United States World Championship Motocross. In 1996 the Lucas Oil Pro Motocross Championship became a staple at Glen Helen, completing the track’s journey to become one of the most popular and well renowned facilities in the world. 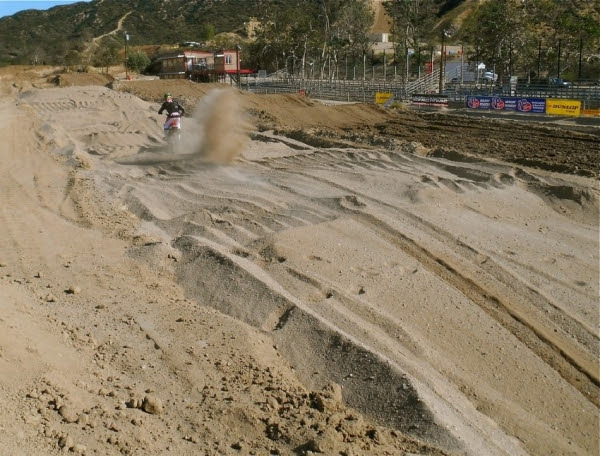 Today, Glen Helen Race­way has added more race courses to host additional types of motorsports events and has put thou­sands of dol­lars into the continued improvement of the facil­ity. Glen Helen Race­way now boasts a national motocross track, vintage motocross track, pee­-wee motocross track, a short course four-wheel off-road track, and a brand new reg­is­tra­tion tower to make it the epicenter for off-road enthusiasts in Southern California.